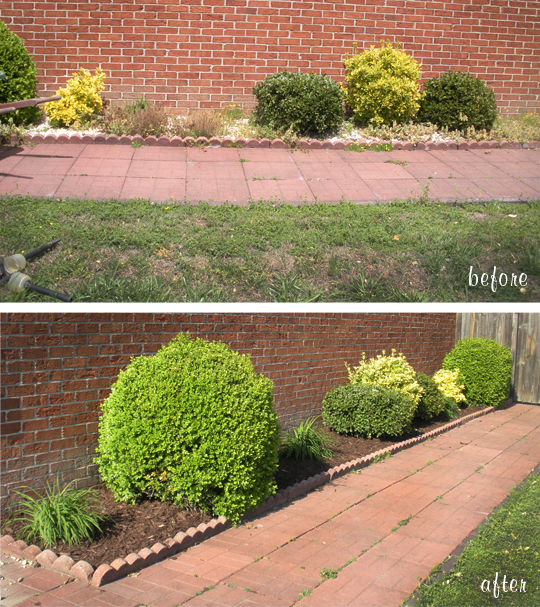 I can’t say that weeding is my favorite thing to do on a sunny day, but it sure does improve curb appeal. We weren’t loving the white 80s rocks the previous owners used in all of the landscaping, so we have begun replacing them with dark brown mulch. 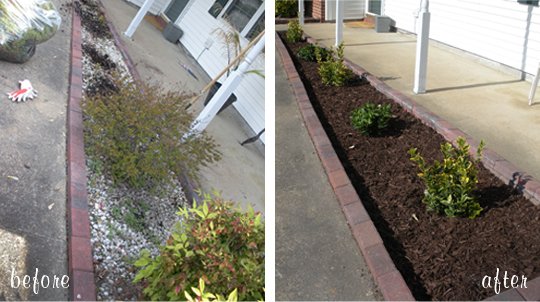 We ripped out all of the scraggly bushes in this front berm and replaced them with gardenias and euonymus that do well in full sun. We also did a good deal of weeding on the side of the house and hauled out white rocks by the shovel full. It looks so much cleaner now, and it only cost us a few bags of mulch and a lot of sweat!